During the three decades beginning with the start of World War II, California’s population exploded. During those thirty years, our population nearly tripled; growing from seven million to twenty million residents. California moved from the fifth most populated state to the first. During these years, the California’s legislature faced an increasing number of challenges. 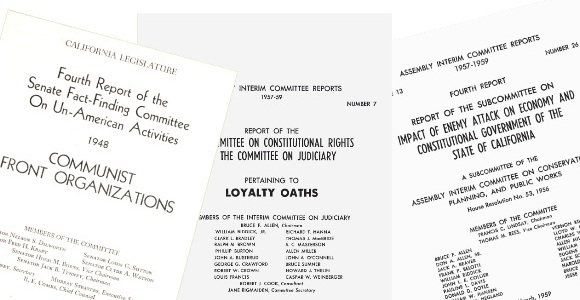 The legislature formed a variety of committees to understand and meet these challenges, which ranged from resisting Nazi saboteurs during World War II and preparing for the aftermath of a nuclear war in the 1950s to understanding the rise of the United Farm Workers in the 1960s and the Black Panthers in 1970. From 1957 to 1959, the Assembly had a “Doomsday Committee” whose mission was to prepare for the aftermath of what was seen as the likely nuclear was between the United States and USSR. The committee researched methods for providing a continuity of civilian government (including duplicating important records for storage in the state atomic vault, establishing an alternative seat of government in an abandoned limestone quarry. The committee, led by Assemblyman Vernon Kilpatrick, also authored bills that lengthened the Governor’s line of succession, and allowed the appointment of temporary “Legislators pro Tem” to fill a large number of vacancies after the attack. This committee was established to determine if it was appropriate for the state to require public employees (as well as party central committee members, and taxpayers claiming most exemptions) to swear that they did not advocate (nor were they a member of a group in the past five years which advocated) for the overthrow of the government of United States or State of California by force or violence or other unlawful means. On February 18, 1940, Assembly Speaker Gordon H. Garland discovered a microphone in his hotel bedroom that was connected to a recording device in an adjacent hotel room. The Assembly then convened the “Assembly Investigating Committee on Interference With the Legislature” to investigate. 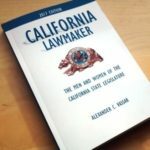 The Governor vetoed AB 64 (which approved funding for the Investigating Committee), which was over-ridden by the Legislature. The final report of the committee found six people directly or indirectly implicated in the incident including Stanley Mosk and Governor Culbert L. Olson. From 1941 to 1970, the California legislature maintained a special investigating committee to look into “un-American activities”. During the war years, the committee focused on the influence of foreign governments in domestic activities (including the German-American Bund (1943), Japanese Subversive Organizations (1943), and the Ku Klux Klan (1943). Later attention focused on Anti-Semitic organizations (1947), Communism in California’s public schools (1947), Communist Front Organizations (1948), the John Birch Society (195? ), Cesar Chavez and the UFW (1967) and the Black Panthers (1970).